DEVELOPER CLOSE OUT. OTHER FLOORPLANS AND PRICES ARE AVAILABLE. Luxury meets Downtown city lifestyle at The Marquette Unit 707! This open concept unit features a beautiful kitchen with 42 inch maple cabinetry, granite countertops, stainless steel appliances and gleaming hardwood floors that lead into the combined living and dining area. Large windows throughout welcome brilliant, natural light and scenic views of Downtown Saint Louis. Also find carpeted bedroom, ceramic tile full bathroom, and a stackable in-unit washer/dryer. 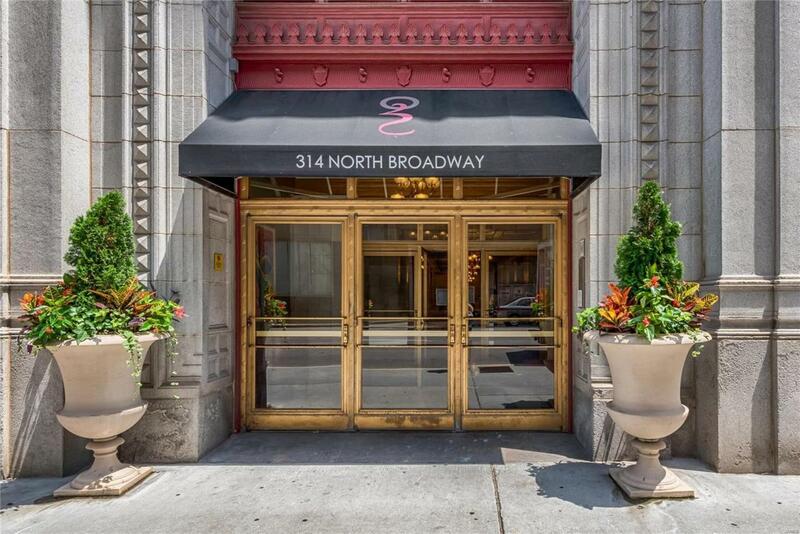 Enjoy the unparalleled amenities in the Historic Marquette building including a Carrara marble lobby, state-of-the-art security, high-speed elevators and storage space. Entertaining is made easy with barbecue facilities, pet friendly area, wading pool, sundeck and the beautiful trellis garden. This unit is complete with one reserved subleased parking space. See all of this and more in the Marquette Lifestyle video attached.